One of the most successful initiatives to promote HTTPS has been Let’s Encrypt, a new certificate authority that provides both free certificates and the Certbot client to easily install them. Let’s Encrypt has a number of sponsors including the Electronic Frontier Foundation, Mozilla, Chrome, Facebook, and the American Library Association. ALA is a sponsor of this important initiative in order to help libraries move to HTTPS. The free tools and certificates from Let’s Encrypt became available in November 2015 and adoption has been rapid. In January 2016, they supported 240,000 active certificates which grew to over 28 million by January 2017 making it one of the largest certificate authorities in the world. Approximate 50% of the web is now on HTTPS. System administrators can usually install certificates by using the Certbot client in a matter of minutes on web servers running up-to-date operating systems. In addition, Let’s Encrypt has been integrated into over a hundred web hosting platforms so that certificates can be installed by customers from their control panel with just the click of a button. 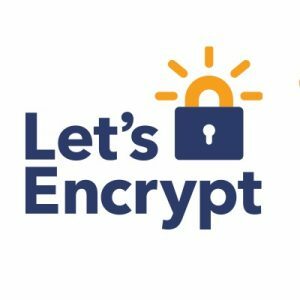 Here is a series of recipes for using Let’s Encrypt to install certificates on a variety of library servers.